Hi sweets, guess what? Something sad happened to me yesterday morning, as in eh, it was so bad that i shed a tear. Just guess? 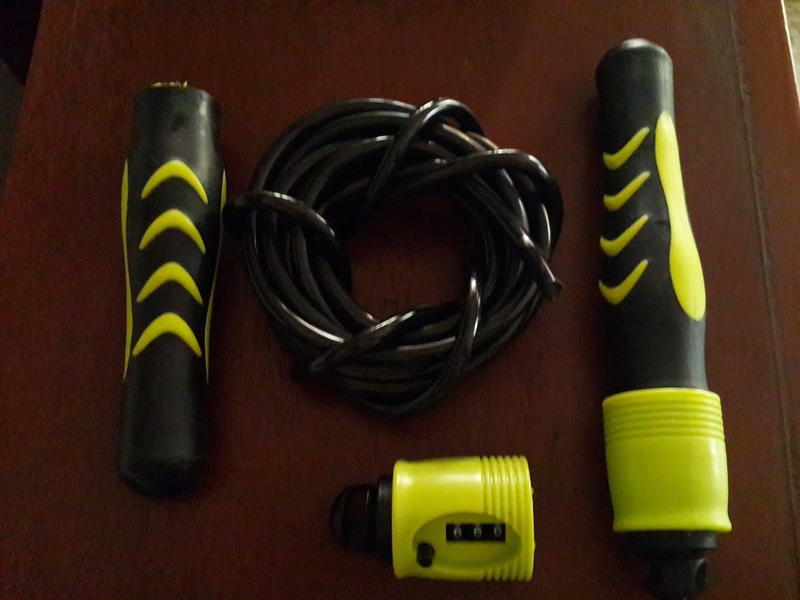 Hmmm, so that's how i was busy with my skip-rope session o, next thing i heard a snap, the rope whipped my legs hard, just like that the handle pf my skipping rope snapped in two. Can you imagine? no signal, nothing, chai!!! Just as i was getting my grove on with the skipping. Mtsheeww! I removed the rope from the other handle thinking i could still manage to finish my routine, but it didn't work well at all. I just have to buy a new one, because even the strongest of all super glues will not hold this one. I decided to use this opportunity to even share the gains of skipping with you guys. Skipping is a good form of cardio, and a very fast way to lose weight when you combine it with low calorie meals. See, at my current weight of 77.5kg, if i skip 1000 skips, i burn over 800 calories, imagine? So if someone that weighs 100kg should skip same amount, she would burn over 1100 calories! That's good news o! By the time you are done, you'll be sweating buckets mehn! hahahahaha! So will you try skipping? Please do o, i hope to hear your results. Let me go shop for a new rope. Talk to you guys later. God bless. I think I'll try skipping now,I like the idea that u get to burn a lot of calories faster. 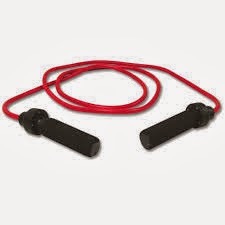 Do I need to combine other exercises with the skipping? Hi Yetunde. Really it depends on u dear, if you feel you can do more, then go ahead. Just fuel up your body and go again. Dont over exercise though. Give a day or 2 of rest during the week. Take care. Awww. Sorry dear. Maybe try skipping at a slower pace. Take care. Sure babes. I feel u.